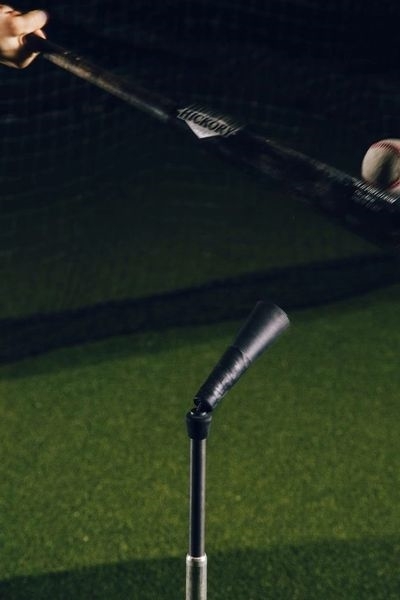 The CagePro Classic Tee is a professional-style batting tee with a 10 pound cast iron base. This Tee is built to last, and it is one of the best batting tees we've tested. 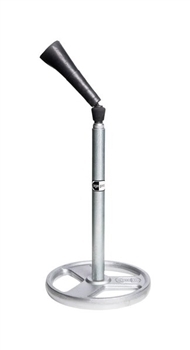 It adjusts from 23" (fully collapsed) to 47" (fully extended), which makes it ideal for practicing any pitch location. The CagePro FeatherTop ball perch uses the familiar rolled-rubber cone, but with a very important difference: it pivots. Pivot action provides the dual benefit of being both the softest tee-topper of any tee, AND the most durable of all pro-style tees. CagePro has done away with the typical stress points that lead to cracking, tearing and early failure of traditional rolled rubber ball perches. The quick action and instant return of the CagePro FeatherTop ball perch will perform for many thousands of cycles and always be ready for the next swing with absolutely no waiting time. The straightforward, easy-to-use stem-height adjustment design utilizes 3 types of rugged materials for its telescoping stem tubes: galvanized steel (outer); thick-wall 6061 drawn aluminum (middle); and moly/nylon matrix (inner). These materials, combined with durable, proprietary friction pads, result in a quiet, tough, height-adjustable tee that retracts lower, extends higher, and retains its smooth, factory “feel” throughout its service life. It even drains itself of rainwater. Simple to adjust, there are no threaded collars or fittings to tighten…just push or pull to lower and raise, and hit away.